WHAT: Cook, a new American bistro located in the heart of Newton, MA, is gearing up for Super Bowl Sunday with a selection of inventive tailgate-inspired bar bites. Also available for takeout, the game day menu makes for easy super bowl entertaining at home. Diners and football spectators alike will enjoy dishes like Salt and Pepper Chicken wings ($9), Boar Chili “Nachos” with house ranch potato chips ($11), Pork Belly Tacos with house kim chi ($6 per taco), NFC Newton Fried Chicken with mashed potatoes, a buttermilk biscuit, gravy and slaw ($17), and Pulled Pork Potato Skins with crispy onions and all the fix ins ($11). Offering a wide selection of beers, wine, specialty cocktails and spirits along with three HD TVs, Cook Newton is a great destination for catching all the Super Bowl Sunday action. For more information, visit www.cooknewton.com or call 617.964.2465. WHEN: February 2, 2014 – Super Bowl Sunday; 4:30 PM – Close. 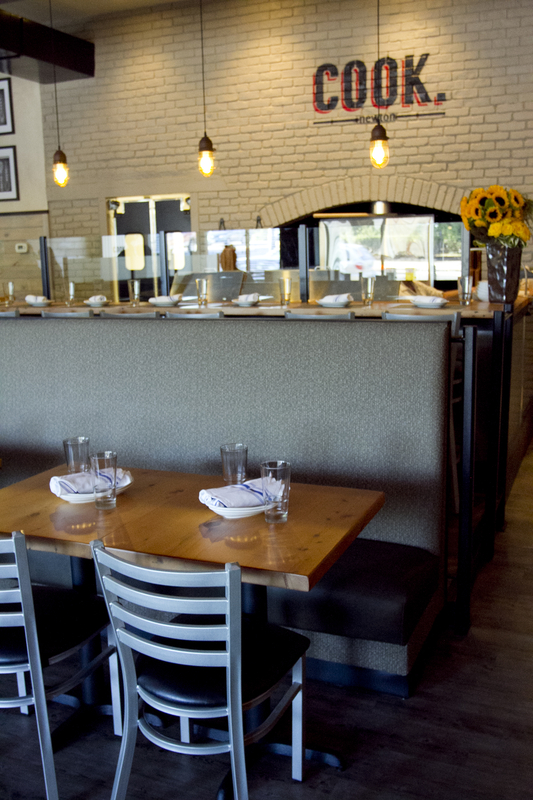 “Cook” restaurant is an 80-seat New American bistro is located in the Greater-Boston area in Newton, Massachusetts. Cook presents a menu that crosses all cultural lines and spans from the simple to the complex. The perfect place to meet for lunch, brunch or dinner, or simply to stop in and enjoy items from their snack menu while sampling craft cocktails, or something from the extensive beer and wine list. Cook is a true neighborhood restaurant in every way. Executive Chef/Owner Chef Paul Turano is dedicated to using only the freshest local ingredients. At Cook the food is dressed up, but you can dress down. Cook serves lunch Monday through Friday from 11:30AM- 3:30PM, Dinner: Sunday- Saturday from 4:30PM – close, and brunch on Saturday and Sunday from 10:30AM -2:30PM. Cook is located at 825 Washington Street in Newton, MA. For more information please visit www.cooknewton.com.